Dr. Caroline Quach-Thanh is a pediatric infectious diseases consultant, medical microbiologist and epidemiologist. She is the physician in charge of the infection prevention and control unit at CHU Sainte-Justine and the medical director of OPTILAB CHU Sainte-Justine. She is also a medical adviser at the Institut national de santé publique du Québec (INSPQ) in the Biological and Occupational Health (Immunization and Infection Prevention branches) Directorate. Dr. Quach-Thanh graduated from the Faculty of Medicine at the Université de Montréal, completed her residency training in Paediatrics at the CHU Sainte-Justine and her post-graduate training in microbiology and infectious diseases at McGill University. She is a clinical researcher (salary support from the Fonds de recherche du Québec – Santé, chercheur boursier de mérite). Her research interests focus on the prevention of infections – both healthcare-acquired and vaccine-preventable diseases. Dr. Quach-Thanh is the Past President of the Association of Medical Microbiology and Infectious Diseases Canada (AMMI Canada), the Chair of the Quebec Immunization (CIQ) the Chair of Public Health Agency of Canada’s National Advisory Committee on Immunization (NACI-PHAC). She is a member of the central committee of the Quebec nosocomial infections surveillance program (SPIN). 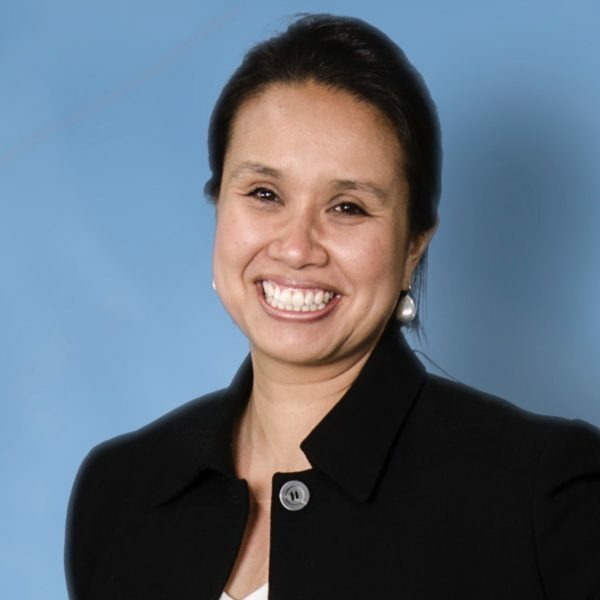 Dr. Quach-Thanh is a member of the Pediatric Leadership steering committee of the Society for Healthcare Epidemiology of America (SHEA) and a member of the research committee from the Pediatric Infectious Disease Society (PIDS). She was awarded the Montreal Children’s Hospital Foundation Research Award (2014), the SHEA William Jarvis Award for Best International Infection Control Paper published, awarded at ID Week 2015, and the John Embil Mentorship Award in Infectious Diseases, from the Canadian Foundation for Infectious Diseases (2016). Tilmanne A, Marisca Kandet Yattara H, Herpol M, Vlaes L, Restore P, Quach C, Vandenberg O, Hallin M, Martiny D. Multi-step Optimization of the Filtration Method for the Isolation of Campylobacter species from stool samples. European J Clin Microbiol Infect Dis. 2019; In Press. Tse SM, Krajinovic M, Bhupendrasinh FC, Zemek R, Gravel J, Chalut D, Poonai N, Quach C, Laberge S, Ducharme FM for the DOORWAY research group of the PERC network. Genetic Determinants of Acute Asthma Therapy Response in Children with Moderate-to-Severe Asthma Exacerbations. Pediatr Pulmonol 2019; In Press. Breitschwerdt EB, Maggi RG, Quach C, Bradley JM. Bartonella spp bloodstream infecdtion in a Canadian Family. Vector-Borne and Zoonotic Diseases 2018; In Press. Rahmouni El Idrissi K. Isabel S, Carbonneau J, Lafond M, Quach C, Caya C, Fontela PS, Beltempo M, Boivin G, Lefebvre MA, Papenburg J. Molecular and Epidemiologic Investigation of a Rhinovius Outbreak in a Neonatal Intensive Care Unit. Infect Control Hospit Epidemiol 2018; In Press. Fakih I, Fortin E, Smith MA, Carignan A, Tremblay C, Villeneuve J, Moisan D, Frenette C, Quach C* for SPIN-BACTOT. A Ten-Year Review of Healthcare-Associated Bloodstream Infections from 40 Hospitals in Quebec, Canada. Infect Control Hospit Epidemiol 2018; 39: 1202-1209. Martineau C, Li X, Lalancette C, Perreault T, Fournier E, Tremblay J, Gonzales M, Yergeau E, Quach C*. Serratia marcescens outbreak in a neonatal intensive care unit (NICU): new insights from next-generation sequencing applications. J Clin Microbiol 2018; 56. Pii : e00235-18. Doi : 10. 1128/JCM.00235-18. Print 2018 Sep.
Desjardins M, Mousseau S, Doyon-Plourde P, Brousseau N, Iachimov D, Rallu F, Quach C*. Should equivocal B. pertussis PCR results in children be reported to public health? Can Communic Dis Rep 2018; 44; 196-201. Merckx J, Ducharme FM, Martineau C, Zemek R, Gravel J, Chalut D, Poonai N, Quach C* for the Pediatric Emergency Research Canada DOORWAY Team. Association of respiratory viruses and treatment failure in children with an asthma exacerbation. Pediatrics 2018; 142(1): e20174105. Doll MK, Quach C, Buckeridge DL. Evaluation of the Impact of a Rotavirus Vaccine Program on Pediatric Acute Gastroenteritis Hospitalizations: Estimating the Overall Effect attributable to the Program as a whole and a per-unit Change in Rotavirus Vaccine Coverage. American J Epidemiol 2018 May 11 doi: 10.1093/aje/kwy097. [Epub ahead of print]. Trudel K, Zavalkoff S, Winters N, Quach C, Lacroix J, Fontela PS. Determinants of urinary catheter removal practices in pediatric intensive care units: a survey. American J Infect Control 2018; 46: 627-32. Dolce L, Quach C, Thirion DJG, Bergeron L, Gonzales M, Papenburg J, Dionne M, Fortin A, Fortin E, Surveillance of Antimicrobial Use in Quebec Acute Care Hospitals: A Survey. JAMMI 2018; 3 : 37-46. Kraicer-Melamed H, Doll MK, Boikos C, Winters N., Frimer L, Stirling R., Gore G. Quach C*. A Scoping Review of the Guidelines and Recommendations for the use of Influenza Antiviral Medications. JAMMI 2018; 2 : 16-32. Auger N, Quach C, Healy-Profitos J, Dinh T, Chassé M. Early Predictors of Guillain-Barré Syndrome in Women. International Journal of Epidemiology 2018; 47: 280-8. Quach C*, Shah R, Rubin L. Burden of Healthcare-Associated Viral Respiratory Infections in Children’s Hospitals. J Pediatr Infect Dis Soc 2018; 7: 18-24. Auger N, Quach C, Healy-Profitos J, Lowe AM, Arbour L. Congenital microcephaly in Quebec: baseline prevalence, risk factors and outcomes in a large cohort of neonates. Archives Dis Child Fetal Neonatal Ed. 2018; 103: F167-72.